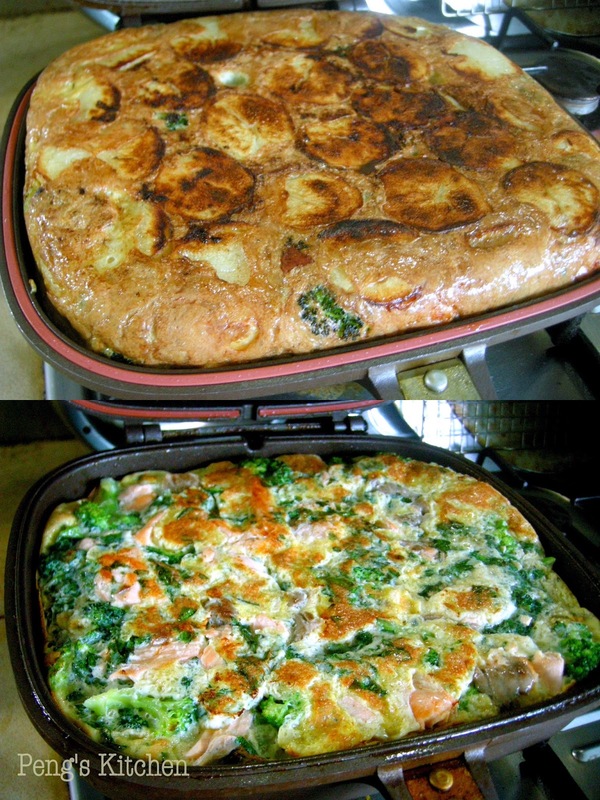 This is another one of my favourite frittata recipe as it is nutritious and easy to prepare ! 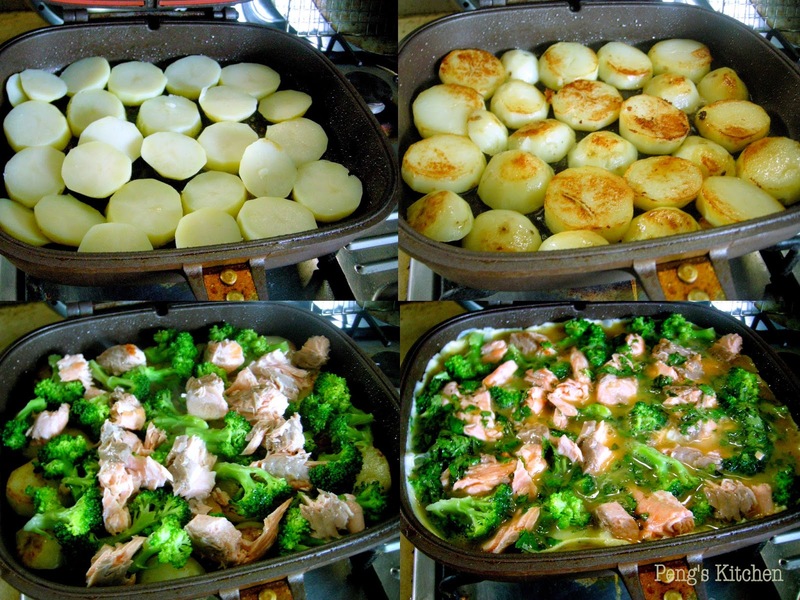 This omelette consists of salmon, potatoes, broccoli so it can be served as a complete meal :) It is really a tasty and very filling dish. All ingredients getting ready to go into the pan :) panfried salmon, parboiled baby potatoes, blanched broccoli, beaten eggs with mint leaves. Bring a pot of water to boil. Add potatoes and cook for about 10mins until fork tender. At the last 5 mins, add in broccoli. Drain well. 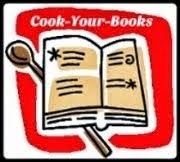 In a non-stick pan, pan fried salmon for 3 mins on each side. Flake the salmon into large chunks. Whisk eggs and mint together. Add salt & pepper to taste. Cut the potatoes into thick slices. Heat 2 tbsp oil in Happy Call Pan (HCP). Add the potatoes into single layer and pan fry over medium heat till golden brown on each side. I like all the ingredients! 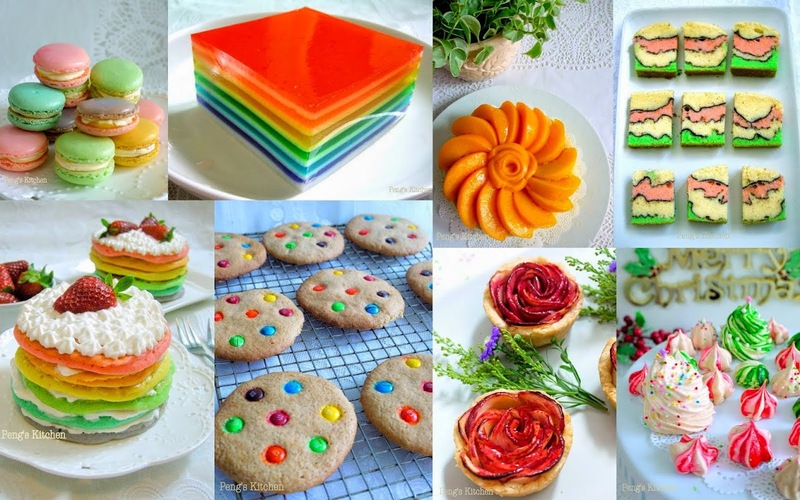 This would make a wonderful brunch on lazy weekends! Looks so good! Thanks for sharing with CYB! Hi! Do you think I can omit the mint? Anony...try replacing with other herbs u like.